Annie Nightingale is best known as Britain’s first female DJ on Radio 1 and is now the station’s longest serving broadcaster. She remains the only female DJ in the world to have been honoured with an MBE by The Queen. 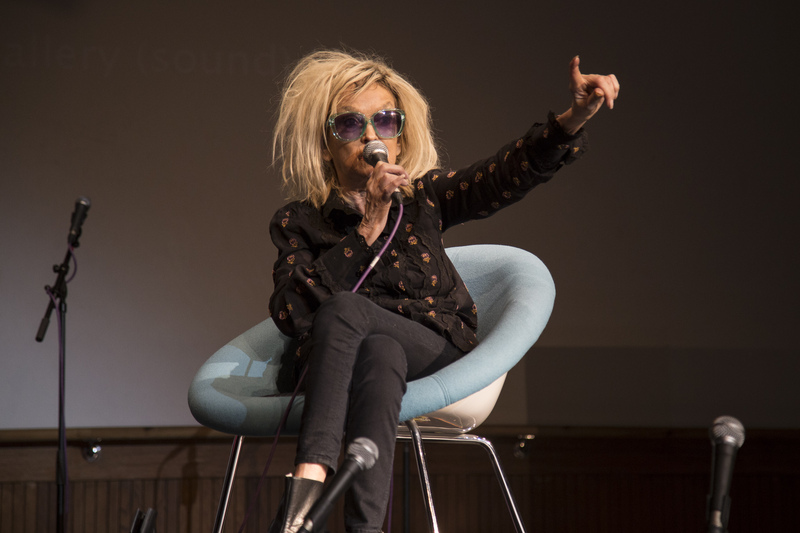 Annie brought her irreverent humour to the show at exactly the time of the punk revolution. She has always played and enthused about underground and new music, and through her championing of breakbeat, she is now known as Queen Of Breaks. 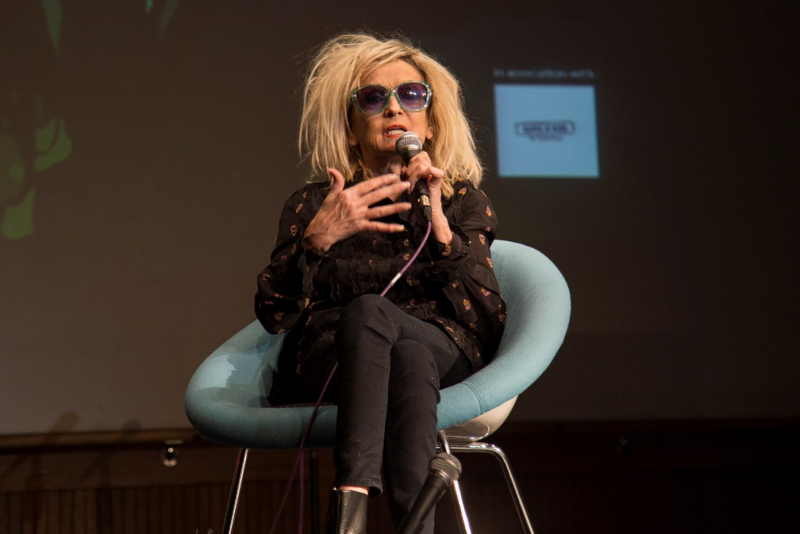 We were extremely lucky to have Annie come down to our annual SMILEfest music and media conference this year. 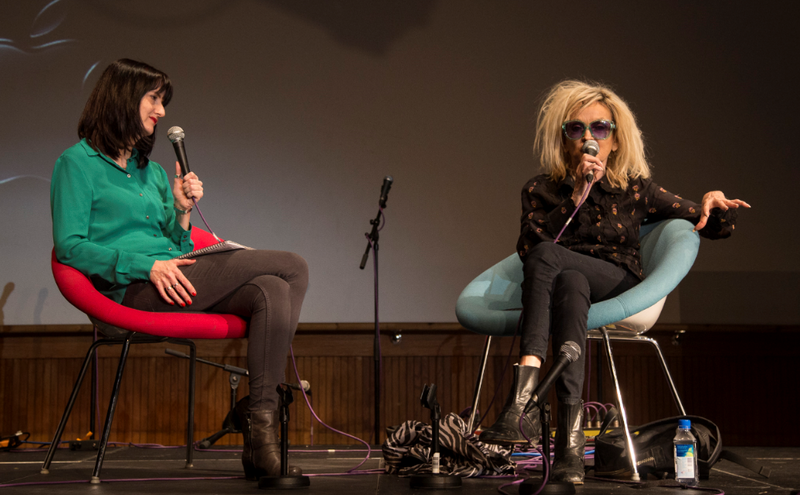 Annie was interviewed by our BA (Hons) Popular Music Journalism lecturer Fiona Sturges. Photos by Rosalyn Amy Boder. Talking about getting started, Annie says, „I wasn’t at all ambitious, it was just good fun. I went to university across the road from the BBC building and it never crossed my mind to work there. It always seemed like a stuffy establishment. I worked at a record shop but I didn’t like to reorder things. People would request things and I’d told them it had sold out! When Fiona admired the list of musicians Annie has interviewed, she said, „No, I haven’t interviewed everyone. I haven’t interviewed Eminem! I really want to.“ She has, though, interviewed a number of legends including Bowie, The Beatles and Mick Jagger to name a few. What’s Annie’s method of getting people to talk? What’s Annie’s advice on how to get into it nowadays? „In London there are spaces like Radar – it’s a matter of volunteering. You’ve got a lot of advantages. They want people with technical ability. There aren’t that many jobs in Radio 1 anymore, you’re either a presenter, producer or assistant producer. A lot of bright producers are taken away by Apple, Amazon, Spotify an others. It’s being tenacious, it’s not impossible. What’s Annie’s favourite part of her career?